Proper feeding is very important during the first year of your baby's life. Mothers are usually worried that their baby is receiving enough nutrition or not. There are also a lot of questions around what should be given to the baby in its first year. A proper nutritional diet from the initial stage will ensure proper growth of your baby. You should create a healthy eating pattern from the starting years of your baby's life itself. 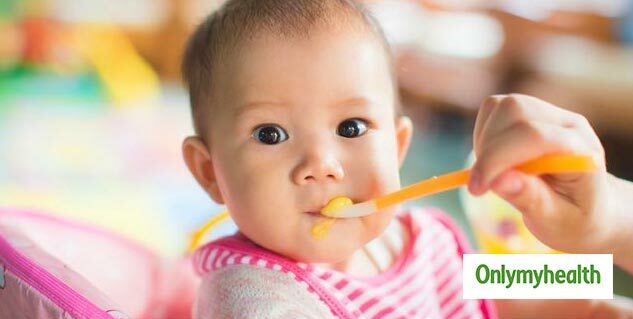 If you are confused that what should you give and when, here is a complete guide for you to feed the right food to your baby in its first year. You will notice a lot of changes in your baby during these months. Your baby will start responding to different things. You will notice major changes in your baby's appetite during these three months. Brest milk in the right quantity is enough for your baby's growth. It will keep your baby's digestive system healthy and will prevent constipation or diarrhea. In these three months, you will get an idea of your baby's appetite. Your baby will hint when it is hungry or full. Your baby is more likely to drink more breast milk during this time period. You should also notice the eating schedule of your baby. Before introducing anything new to your baby's diet apart from breast milk you should consult your doctor. Between 4-6, your kid will start grabbing things and will start to sit. You can add cereal to your baby. But do not feed too much cereal to your baby. 2-3 tablespoons twice a day are enough. Brest milk should be the main source of nutrition. Do not substitute milk with cereal. You should use a very soft spoon to feed your baby because your baby's skin is very delicate. Once your baby is six months old, you can add other foods to your baby's diet. You can fulfill your baby's nutritional requirement with other foods along with breast milk. You can feed fruits and vegetables to your baby. Your baby will prefer sweet fruits more. Your baby will also refuse to the things that it does not like. In fruits, you can feed banana, apple or pear. You should mash the fruits first to make it easier for the baby to swallow. In vegetables, you can choose- potato and carrots. Now your baby will start eating more solid foods. The complete dependence on milk will reduce. Your child will eat other things as well which will fulfill the required nutritional requirements. 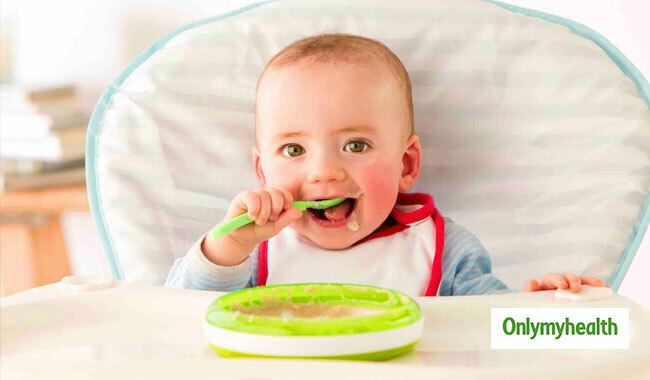 Your baby can eat more solids now apart from fruits and vegetables. Do not give foods items which are very hard or loaded with spices. Mash the food properly before serving. Do not give anything which can trouble the digestion of the baby. You can give yogurt and can also introduce other fruits and vegetables. But do not cut milk completely from your baby's diet. Make sure that your baby consumes breast milk properly.